We are one of the leading manufacturers of hydraulic hot and cold press for R&D. These hydraulic presses are manufactured using the finest quality materials that are procured from the most reliable sources in the market. Our range of hydraulic presses are widely appreciated by our reputed clients for its superior quality and durability and is available at a competitive market price. 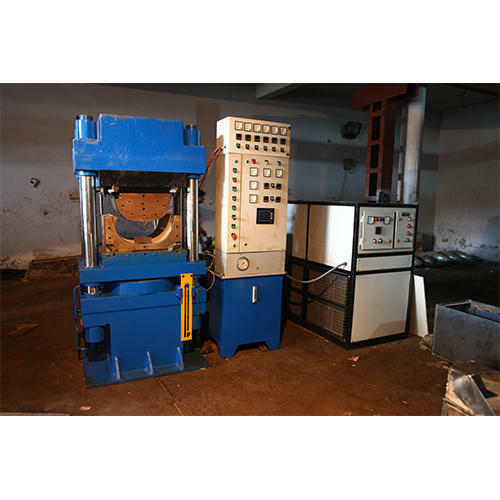 These hydraulic presses are custom made as per our clients specification and is available in various capacities. » The press has the facility to heat and cool the platen in control manner. » T he heating and cooling of the platen will be controlled through plc. » Also the pressure of the maching will be controlled through plc. » The temprture and pressure of the machine should be synchronized and control through plc.